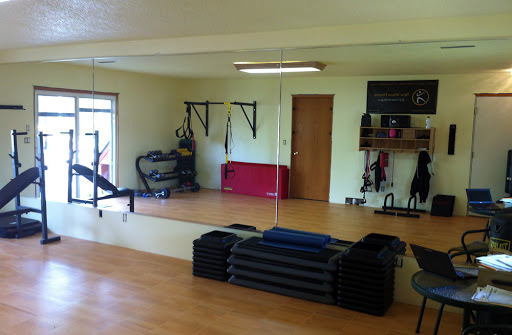 If you happen to find yourself in Coralville, IA, be sure to stop in at New Moon Fitness. Teresa H. has installed our MaxTile modular tiles as the flooring for their commercial gym facility. 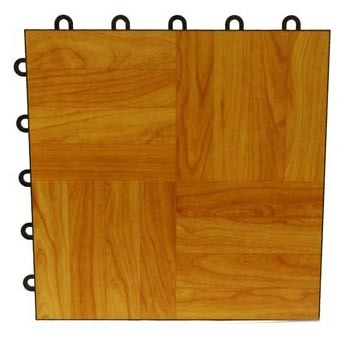 MaxTile is a wonderful all-around modular floor tile. Its durability makes it one of our most popular and best-selling products. The wood or stone-look vinyl top gives your floor a high-end appearance while still providing durability and toughness at a reasonable price point. It is rugged enough for commercial applications like Teresa’s and waterproof so it can be used in a variety of different rooms like basements. Many people even use the MaxTile as a portable dance floor. MaxTiles are made in the USA. Installing the MaxTile floor is simple. You just lay the pieces together and snap them in place. You need no glue so you can pull the floor up whenever you want and lay it down later. The connection tabs are designed tough enough for repeated assemblies and disassemblies. MaxTiles can be laid over any hard, flat surface and can even lay directly on concrete. For applications like Teresa’s, we strongly suggest a rubber underlayment like she used. This will provide an extra layer of cushion between the floor and the surface of the tiles. It also helps with sound dampening. These vinyl tiles come with a ten year residential warranty. Thank you, Teresa. We’re sure you’ll be enjoying MaxTiles for years to come.